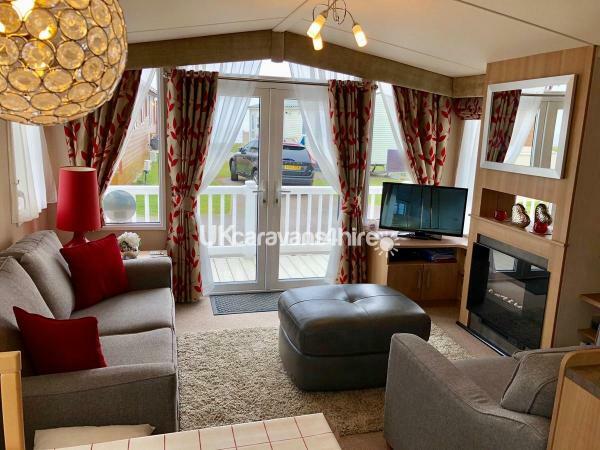 Additional Info: Freezer, en-suite WC and Toilet, playstation with games, dads, games, books, bluetooth device, tvs with built in DVD players in all rooms, travel cot, high chair, bouncy chair, bed guards also available, a real home from home van with sea views on a beautiful park. 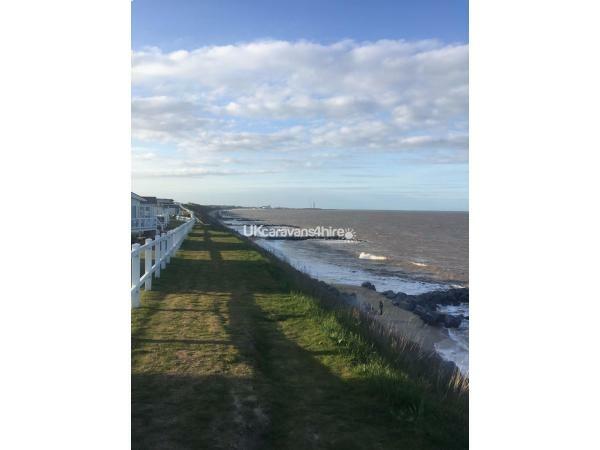 £75.00 non-refundable deposit is taken to secure booking. 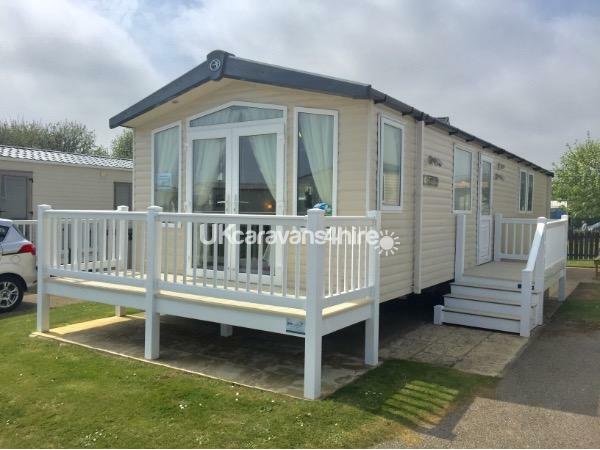 We own a 2012 Swift Bordeaux 38 x 12ft Model with 3 Bedrooms (1 double and 2 singles) situated on Hopton Holiday Village, on a sea view plot! 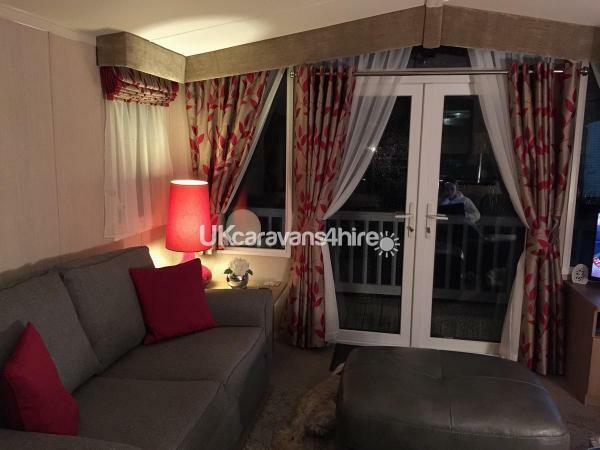 Our van has had new carpets throughout and new curtains in lime green, giving a lovely fresh look. 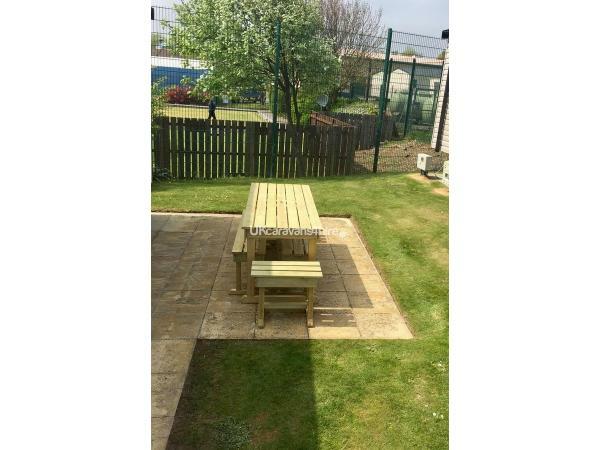 Outside we provide a front decking area with table/2 chairs. There is also a small side decking. We have a patio area with wooden furniture on and foldable chairs in the shed, with parasol. There is also a Gas Barbecue for your usage. 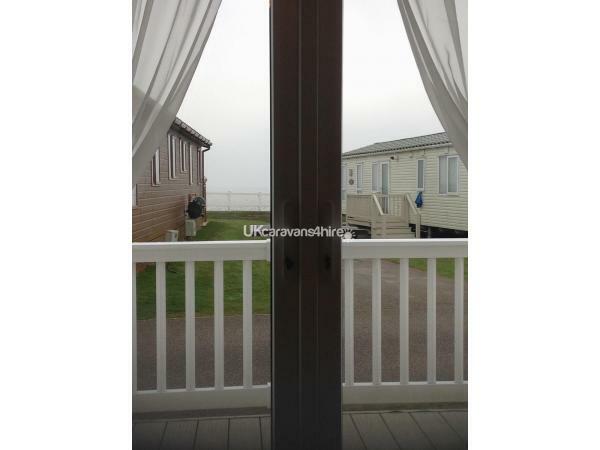 There is Tarmac Parking for 1 cars at the side of the caravan. Crockery, Cutlery, Utensils, Kitchen Roll and Cleaning Equipment including Brush, Dustpan & Brush and Mop & Bucket. 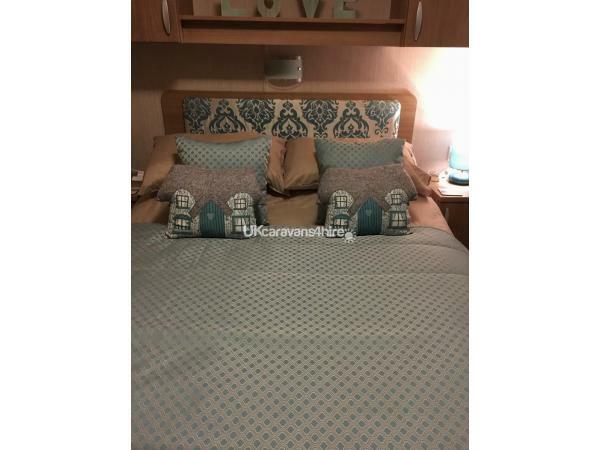 Double Bed with Bedside Cabinet and overhead cabinets. Two Matching Lamps. Dressing Table Area with Stool. Hairdryer. TV with built in DVD Player. En-Suite with Toilet and Sink. Small Wardrobe, Mirror on Wall with Shelf Under. Bedside Cabinet inbetween beds and two other overhead storage cabinets. 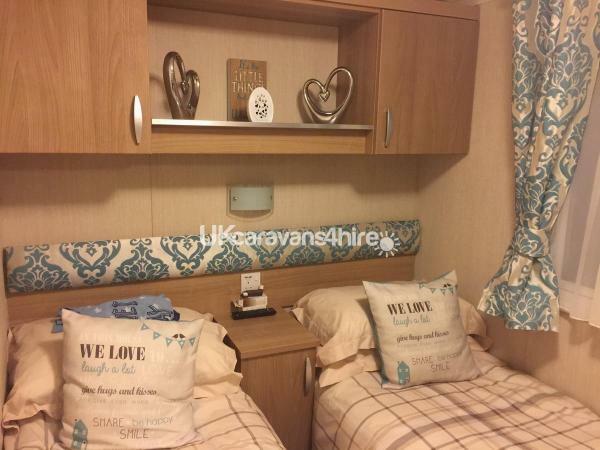 Small Tall Wardrobe, Mirror on Wall with Shelf Under, Bedside Cabinet in between beds and overheard cabinets. 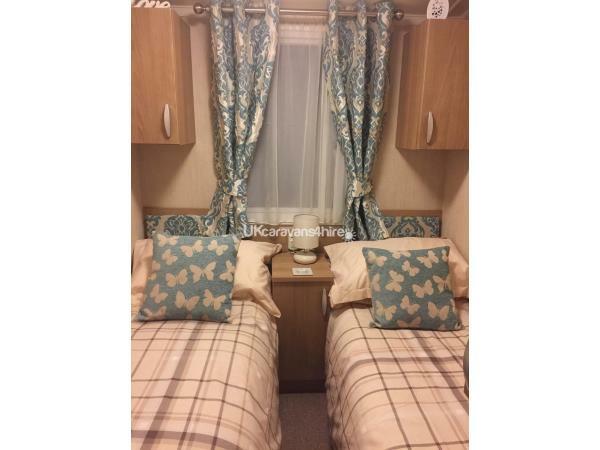 For our younger guests we provide Travel Cot, Highchair, Bed Rails, bouncy chair. 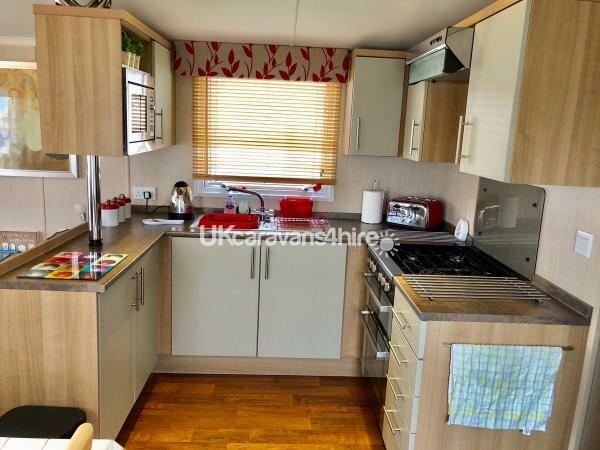 Pub/Club, Bowling Green, Amusement Arcade, Tennis Court, Putting Green, Indoor Pool, Golf Course, Laundrette, Crazy Golf, Grocery Shop, Takeaway, Restaurant, Kids Club, Showbar, Bouncy Castle, Football Court, Takeaways. 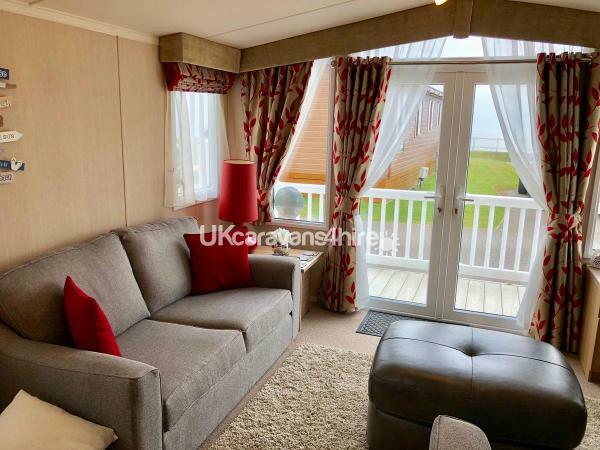 Bubbles Amusements, Stardust Amusements, Chinese Takeaway, Sizzlers Restaurant, Fish & Chip Shop, Bubbles Burger Van, our caravan site is right on the beach, Outdoor Pool. No reviews found. 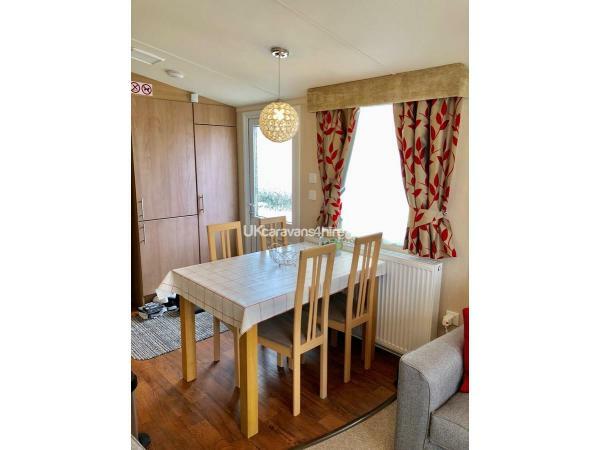 If you have recently stayed in this holiday home please leave a review, it only takes a few moments and will really help future guests when they are searching for holiday accommodation at Haven Hopton Holiday Village.